Experience Tours on State Parks and Department of Environmental Conservation Websites. Albany, NY - November 7th, 2014 - Governor Andrew M. Cuomo today announced the availability of 93 virtual tours for popular destinations across the Empire State that will inspire and help visitors plan their getaway. The virtual tours offer stunning 360-degree views of scenic vistas, popular attractions and campgrounds across New York State, making it easier than ever for prospective visitors to plan a trip to experience New York. The virtual tours include both moving "spins" and still images of a variety of State-owned parks, campgrounds, trails, playgrounds, pavilions, golf courses, boat launches, beaches and pools in the parks, as well as landscapes and premium viewing spots. Each virtual tour includes multiple scenes and key information about the property. State Parks Commissioner Rose Harvey said, "These virtual tours are a convenient and valuable tool for families planning their getaways. By offering a preview of each park's highlights, the tours can play an important step in introducing first-time visitors to our properties and inspire our regular patrons to explore new parks and campgrounds." 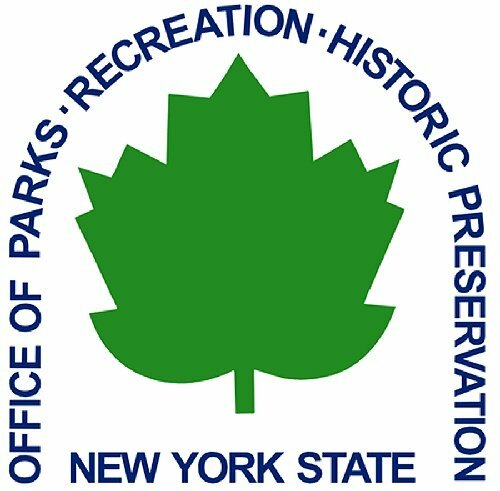 Department of Environmental Conservation Commissioner Joe Martens said, "New York offers exciting and easily accessible camping opportunities in nearly every region of the state, providing a great experience for families and people of all ages. Governor Cuomo continues to make important investments to promote camping, fishing and other outdoor recreation activities, which attract tourists and benefit regional economies. These virtual tours showcase New York's beautiful scenery and natural resources, and we encourage people to view the virtual tours to discover the perfect destination for their next outdoor experience." The tours of campsites look at sample interior and exterior images of the diverse types of lodging available, including boat-access-only waterfront sites, family-friendly camping loops, secluded wooded settings, rustic cabins, fully-equipped cottages and more. More than 15,000 campsites and 800 cabins are conveniently located near day-use parks, historic sites and other family-oriented properties. Tourism is a powerful economic driver in Upstate New York, and Governor Cuomo has made it a priority to promote travel and extended stay in Upstate – and today New York is welcoming a record number of visitors. The 2014 summer season, which is between Memorial Day weekend and Labor Day, welcomed 36 million visitors to the State's parks, historic sites, campgrounds and facilities. Subject: LongIsland.com - Your Name sent you Article details of "Governor Cuomo Announces New Virtual Tours Now Available at New York State Parks and Campgrounds"